Storybook Dress Up Day: Chicken Little Ladies "The Sky is Falling!" 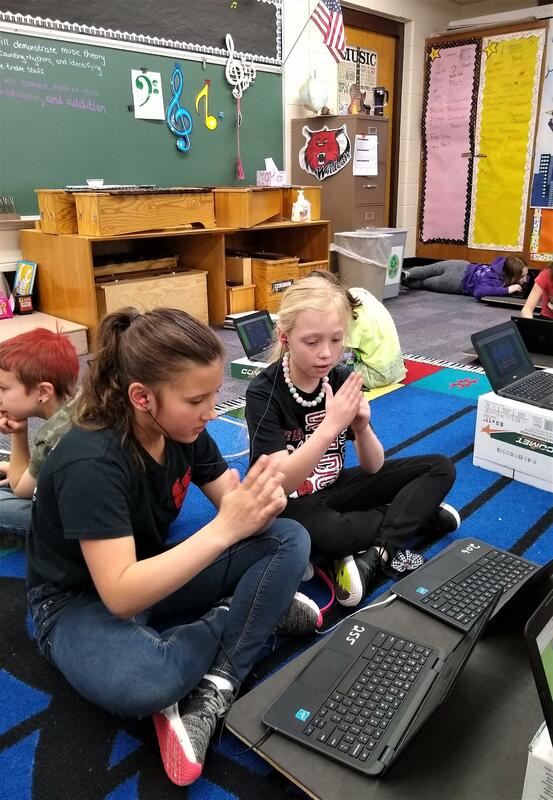 2nd graders in music class immersed in a rhythm lesson using syllables and signs for each note value with an app on their Chromebooks called Quaver's Music. 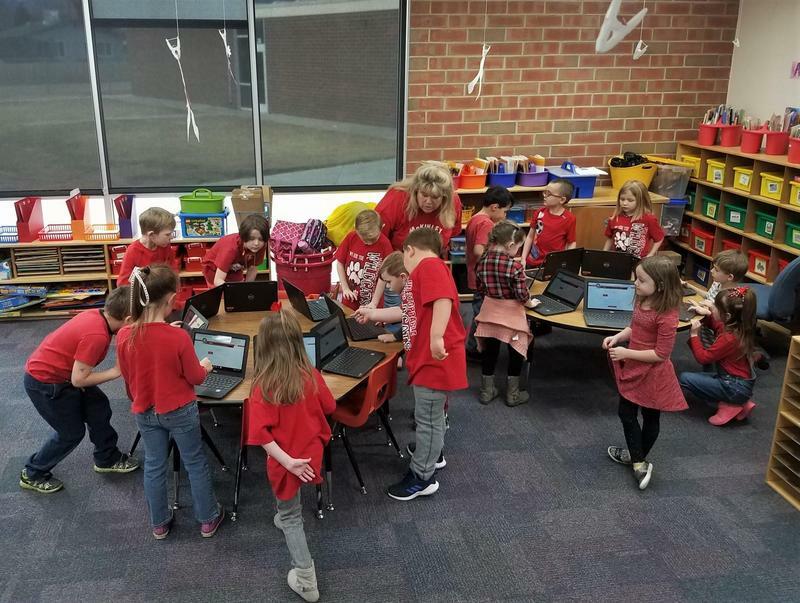 Kindergartners are learning about digital communication by voting online with their Chromebooks for Cañon City in the Small Business Revolution contest. 5th Graders Caspian and Lucy created a RG machine. Watch the slow motion video of a RG machine in action. Way to go Caspian and Lucy! 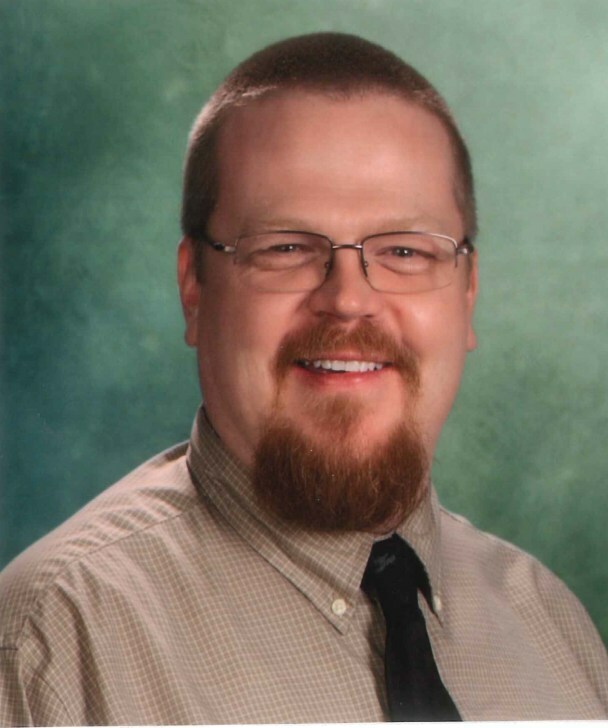 Thank you to Mr. Smith, our GATE teacher, who recorded the video.